The Wind Turbine industry has been going through a prolonged recessionary phase, as massive overcapacity created by the Chinese players have reduced prices and margins drastically. The WTG industry has seen almost all companies operating in the red, as prices have gone below the costs for companies. Even the largest WTG makers such as Suzlon, Vestas etc. are battling to survive. Except for GE, there is hardly any profitable large WTG company in the world. Vestas is looking to sellout to a Chinese company, while Suzlon is muddling through under a huge debt burden. The companies have continuously seen losses and the balance sheet has become extremely stressed. Read more about the Indian Wind Industry here. It is therefore not a surprise to see small Finnish wind turbine maker WinWinD go bankrupt. The company is 40% owned by Masdar and 20% by Indian serial investor Sivasankaran. Note the Indian wind turbine market had seen a lot of excitement in the boom years with a number of industrial groups like Inox, Shriram and Bharat Forge entering the field. 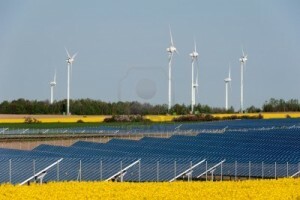 India already is the home country of one of the world’s large wind turbine companies Suzlon. However like the ROW, Indian WTG makers are also going through a very tough phase. This has not been helped with the slowdown in wind energy projects due to the general economic malaise and change in subsidy policies. Europe is also going through a slowdown and banks have been reluctant to invest in a loss making industry. Note there are also few buyers of wind turbine equipment these days given the huge overcapacity everywhere. WinWinD has submitted a voluntary petition on bankruptcy to the district court on October 3. The district court has allowed the petition and appointed attorney Pauliina Tenhunen as the administrator to take care of the further process,” a filing by WinWinD said. “The efforts of WinWinD in trying to arrange for necessary funding and approval for restructuring process has not been successful and hence this decision. This bankruptcy will affect a total of 130 employees from Finland and Sweden,” the company statement said.